Gifts in Wills underpin the work of many UK charities, generating 50% of British Heart Foundation’s voluntary income and nearly two out of every three Guide Dogs are funded by legacies. We form partnerships with legal firms, the Cabinet Office and private sector, encouraging more people to consider leaving a charitable gift in their Will. It is the biggest legacy campaign in the world, aiming to do what no single charity can do alone – making legacy giving a social norm. There are plenty of ways to make a Remember A Charity partnership work for your business, employees and partners. We want to make sure that having a Will is part of normal future planning in the same way that pension plans or life insurance are. Legacy income is currently worth over £2.8 billion a year – the largest single income to charities in the UK. 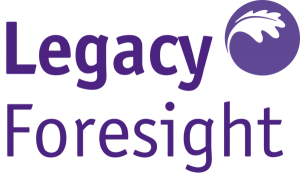 Since Remember A Charity was formed, legacy giving has continued to rise, with the percentage of the UK population leaving a gift in their Will increasing from 5.1% in 2000 to currently 6.3%.